One of the more popular sets of tutorials we've written are our walkthroughs for installing Windows. We have one for Windows 8, Windows 7, and Windows XP (and we're working on one for Windows 10). Thanks to those tutorials, there's no wonder that installation and upgrading questions are some of the more common ones we get. Below are answers to some of those questions. We'll add more Q&A's as time goes on but feel free to let me know if you think something should be addressed here. "I read that I should do a 'clean' install of Windows. How do I do that? Do I need a special disc or instructions?" Basically, a clean install means to erase the drive with the existing operating system on it during the process of installing Windows. This differs from an upgrade installation ("moving" from a previous Windows version) and is basically the same thing, with a few extra steps, as a "new" install (an install on an empty drive). Compared to an upgrade installation, a clean install is almost always the better way to install Windows. A clean install won't bring with it any problems, software bloat, or other issues that may have plagued your previous installation. No, you do not need a special Windows disc, or any sort of other software or tools to do a clean install. All you need to do is remove the partition(s) that contain your existing operating system when you get to that step in the Windows installation process. All of those tutorials cover 100% of the process and include screenshots for every step of the way. Also, please know that those walkthroughs cover every commonly available edition or version available in each major version of the OS. "I got a 'Invalid product key' message with a 'Code: 0xC004F061' error! What's wrong?" The following failure occurred while trying to use the product key: Code: 0xC004F061 Description: The Software Licensing Service determined that this specified product key can only be used for upgrading, not for clean installations. The 0xC004F061 error appears during the Windows activation process if a) you used a Windows upgrade product key but you b) did not have a copy of Windows on the drive when you clean installed. The message at the bottom of the window indicates that you can't use this product key for clean installations but that isn't entirely true. A Windows clean install is fine, but you must have had an upgrade-valid version of Windows on the computer prior to the clean install. The Microsoft-supported solution to this problem is to reinstall the previous version of Windows and then clean install Windows. However, another solution is to do an in-place upgrade of Windows to the same version of Windows. Yes, it seems strange, but according to several sources, you'll be able to successfully activate Windows after that process completes. If neither of those solutions work, you'll need to purchase a Windows System Builder disc (sometimes referred to as an OEM disc) which you will be able to install on an empty hard drive or clean install over a non-upgrade-valid version of Windows (e.g. Windows 98, etc.) or a non-Windows operating system. It's important to realize that during the Windows clean install process, when you enter your product key, you are not warned about the possibility that you're using the wrong key. That stage in the Windows installation process just checks to see if the product key is valid at all, not if it's valid for your specific situation. That determination occurs during the activation process after Windows is completely installed. If you have more product key specific questions, see our Windows Product Keys FAQ page for more help. "I have Windows on a DVD but I need it on a flash drive. How do I do that?" Unfortunately, just copying the files from your Windows installation disc to an empty flash drive won't do. "I downloaded Windows but all I have is an ISO file. How do I get that on a DVD or flash drive so I can actually install Windows?" That ISO file you have is a perfect image of a Windows installation disc, contained in a neat one-file package. However, you can't just copy that file to a disc or a flash drive and expect to use that to install Windows. If you want to install Windows from a DVD, see How to Burn an ISO File to a DVD for instructions. If you want to install Windows from a flash drive, you can follow one of the same tutorials we linked to in the last question. "I have Windows installed on my PC. If I replace the PC with another, can I install my copy of Windows on my new PC as long as I remove it from the previous one?" Yes. The biggest point is the one you mentioned: you must remove Windows from the old computer before you activate it on the new one. In other words, you can only have your copy of Windows running on one computer at a time. Another thing to keep in mind is that if you installed an upgrade licensed copy of Windows on a computer and then want to use it on another computer, the same "upgrade rules" apply: you'll need to have a previous version of Windows on the computer before installing the upgrade. You can not "move" Windows to another computer if it came preinstalled on your computer. Your copy of Windows is OEM licensed which means that you are only allowed to use it on the computer that it came already installed on. "How many times can I reinstall Windows on another computer? Assuming I follow the 'uninstall the old installation' rule, can I keep installing Windows on different computers?" There are no limits to the number of computers that you reinstall Windows onto so long as you follow the rules I discussed in the last question. "Do I have to buy another copy of Windows if I want to install it on another computer?" The answer to this is probably clear if you've read the last few answers, but: Yes, you will need to buy a license to install Windows on each and every computer or device you plan on using it on. "I restarted with the Windows DVD/flash drive in my computer but the Windows setup program didn't begin. What happened?" Chances are good that the boot order in BIOS or UEFI is not properly configured to look at your optical drive or USB ports for bootable media before it checks for the same from the hard drive. See How to Change the Boot Order in BIOS or UEFI for help. "Help! My computer froze/restarted/got a BSOD during the Windows install!" Try installing Windows again. Sometimes problems during a Windows installation are temporary, so another shot is a good first step. If you're doing a clean install, just start the process over again. Since part of a clean install involves formatting the drive, whatever issues might exist with this partial installation will be gone. If just starting the Windows install over again doesn't work, try removing/unplugging any unnecessary hardware from your computer before starting the installation process. The Windows setup process could stall or produce an error if it's having an issue installing some piece of hardware. It's much easier to troubleshoot an installation problem with a piece of hardware once Windows is up and running. Finally, be sure that your computer's BIOS or UEFI is updated. These updates by your computer or motherboard manufacturer often correct compatibility issues with operating systems like Windows. "How does Windows already know my phone number?" Near the end of some Windows setup processes, if you choose to use a Microsoft Account to sign in to Windows, you'll be asked to provide or verify your phone number. If your phone number is already listed, it just means that you've previously provided it to Microsoft when you created your Microsoft Account. You probably have a Microsoft Account if you've ever logged in to another Microsoft service in the past. "Windows costs almost $200 USD to download?! I thought it would cheaper since it's a download and not a boxed copy!" The majority of what you're paying for is the license to use Windows, so downloading it isn't advantageous from a cost standpoint as much as it is from an ease-of-use or quick turnaround perspective. "Is upgrading from Windows 8 to Windows 8.1 free?" Yes. To be clear, if your computer is already running Windows 8, then yes, you can apply the free update to Windows 8.1 from the Windows Store. "Is upgrading from Windows 8.1 to Windows 8.1 Update free?" Again, yes. This update is also free. See our Windows 8.1 Update piece for more on upgrading to Windows 8.1 Update. "Are the major Windows 10 upgrades free?" Yet again, yes. 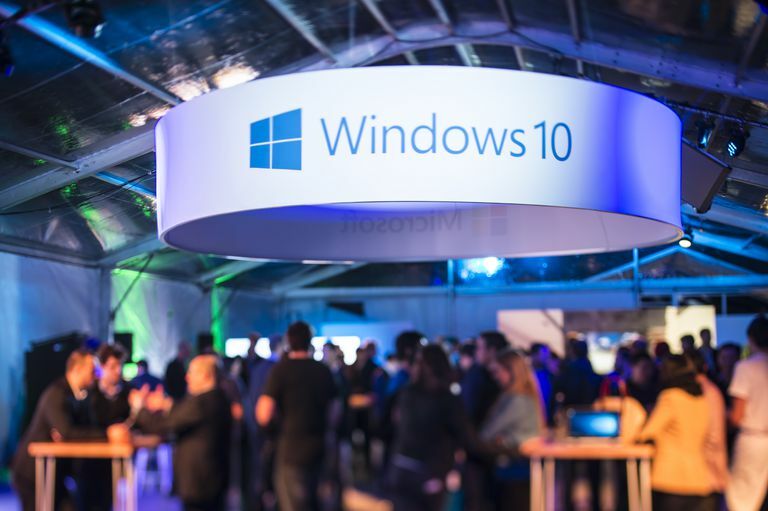 All Windows 10 updates are free. "Can I update from Windows 8 (standard) to Windows 8.1 Pro?" No, not directly. If you have Windows 8 and apply the 8.1 update, you'll go to Windows 8.1. If you have Windows 8 Pro and apply the 8.1 update, you'll go to Windows 8.1 Pro. The same logic applies to Windows 8.1 Update upgrades. If you want to update to Windows 8.1 Pro from the standard edition, we recommend applying the 8.1 update and then purchasing the Windows 8.1 Pro Pack to go to Windows 8.1 Pro.